Following my August post VR Serious Game Could Define The Future Of Astronaut Training, dedicated to the Australian VR gaming studio who created the Serious Game Earthlight, Mashable reported last week that Boeing has now hired Opaque Space to help with future capabilities on a VR training system the aerospace company has developed for its forthcoming CST-100 Starliner capsule. The spacecraft's primary function is to transport NASA astronauts and other crew members to and from the International Space Station. The CST-100 Starliner virtual reality training system will supplement the physical Starliner simulator, and is a low-cost training method for astronauts. For Starliner, Boeing decided to look outside its research and technology hub in Brisbane for inspiration. "We wanted to expand our vision and capabilities," Leighton Carr, Boeing research and technology engineer, explained. "So we looked across the industry, looked at who was really pushing the envelope and doing the best in virtual reality in Australia. We found Opaque Space and contacted them." The CST-100 Starliner virtual reality training system will initially help to instruct astronauts on how to dock with the International Space Station in low-earth orbit, as well as re-entry procedures for the spacecraft. VR can also be a useful tool for when astronauts might not be living close enough to a physical simulator. "Obviously astronauts have to spend a long time on the ISS, six month stints up there, so the ability to do training in virtual reality makes it possible to do that on the base station and have them have a refresher course effectively the day before re-entry," Carr said. Like the Serious Game Earthlight, this year’s winner of the 6th Serious Games Showcase & Challenge Australasia, the trainer uses Unreal Engine 4. 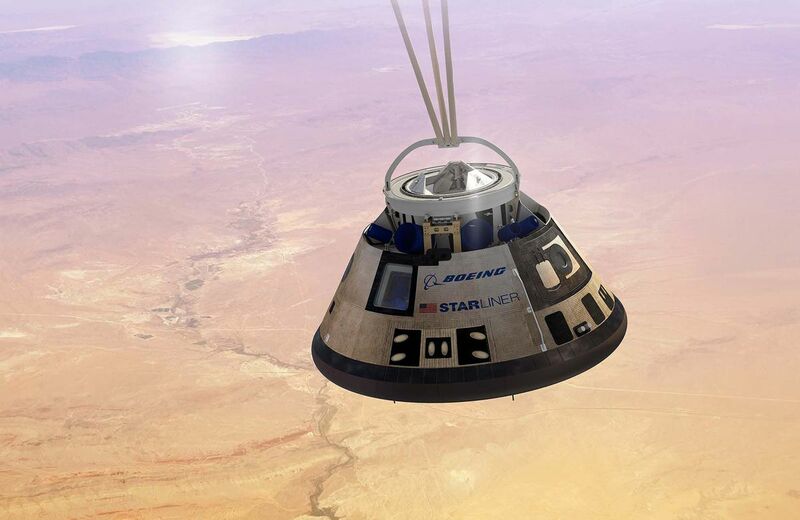 The next generation of the CST-100 Starliner virtual reality training system will aim to increase the accuracy of the simulation, so that it matches the actual capsule itself. The project is "one of many milestones" for the Serious Game Industry locally, and a chance to show that VR can help with training people for extreme environments. "What it means is we'll start to see a surge in “Serious Games” being a focus of the Australian industry,” said Emre Deniz, Opaque Space CEO and director. ADELAIDE, September 26, 2017 - During the International Astronautical Congress in Adelaide, South Australia, Boeing announced efforts by its Australian team to support the company’s global space and defense business including its first virtual reality (VR) system developed by employees outside the United States. Boeing Australia’s first major space research and development initiative on display at IAC 2017 is a virtual reality solution developed in Brisbane that provides a high-resolution, interactive, real-time simulation for Boeing’s CST-100 Starliner capsule. 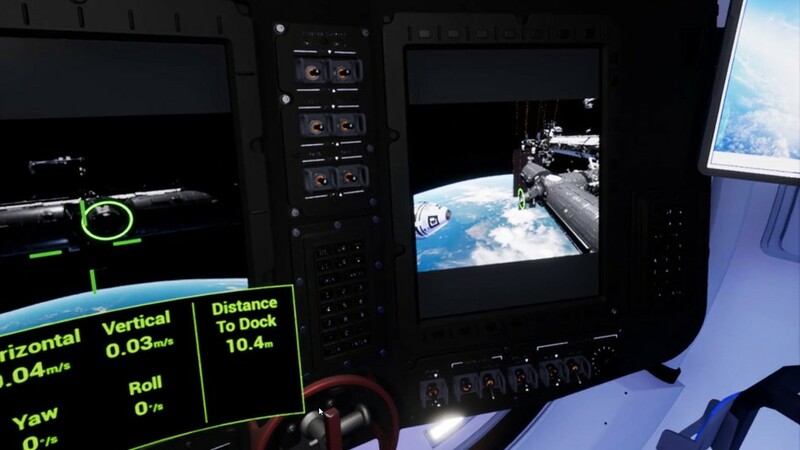 Supplementing Boeing’s physical Starliner simulator, the VR technology is a low-cost training alternative for astronauts to familiarize themselves with operating Starliner and perform training procedures including how to dock with the International Space Station. Boeing Defense Australia will explore space situational awareness capabilities as part of its growing command, control and communications business. The Australian Defense Force currently has Boeing-built satellite communications supporting its operations. Australia became the first international participant in the Wideband Global SATCOM (WGS) system under a cooperative agreement with the U.S. Air Force in 2007; WGS provides flexible, high-capacity and resilient communications capabilities. The Ultra High Frequency hosted payload on the Intelsat 22 satellite delivers critical connectivity to Australian forces. Other Australian-developed space technologies include a weather server that can analyze locations on the surface of the earth and objects in space, an application to connect teams during live test events such as space launches, and spacecraft cabin anti-microbial polymer research. With more than 3000 employees, Boeing in Australia has a broad portfolio of aerospace capabilities across the country, including advanced manufacturing of commercial aircraft components, complex defense systems design and production, research and development, training and sustainment services, and unmanned systems.